We take a look at pensions news, announcements and developments since our last Active Practice Update on this topic. 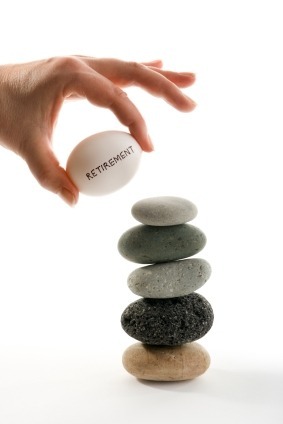 The auto-enrolment scheme for workplace pensions began in October 2012. Between then and February 2018 all employers, regardless of size, will have to automatically enrol all employees into a workplace pension and start making contributions on their behalf. The scheme is being phased in, starting with the largest employers first. Small and medium-sized businesses, with fewer than 250 employees in their PAYE schemes, will not need to begin auto-enrolment until April 2014 at the earliest. Employees can choose to opt out of being auto-enrolled into their employer’s pension scheme if they wish. The National Employment Savings Trust (NEST), set up by the Government to allow employers to fulfil their workplace pension duties, said in February that restrictions on the annual amount employees can contribute to their NEST pension should be lifted by 2014. There is currently a £4,400 annual contribution cap on NEST funds, which makes it an unsuitable option for employees earning more than £60,000 per year. NEST also wants to see the ban on fund transfers removed well before the scheduled auto-enrolment review in 2017. We can help with retirement planning. Contact us to speak to an adviser. In January, the Government published a white paper announcing plans to replace the current state pension with a single-tier, flat rate pension of £144 per week. The reforms would simplify the current system of basic and additional state pensions and pension credits, which Pensions Minister Steve Webb recently described as ‘fiendishly complicated’. Currently, people who’ve reached their state pension age and meet the National Insurance contributions (NICs) requirements receive a maximum of £107.45 basic state pension per week. There’s also an additional (or ‘second’) state pension, which you receive depending on earnings, NICs or the benefits you’ve received. Further pension credit top-ups for those who are eligible can take the weekly amount up to £142.70. The white paper also includes plans to raise the minimum number of years’ worth of NICs required to qualify for the full state pension to 35. You currently need 30 years’ worth of NICs to be eligible for the full amount. The plans are at the white paper stage only and will be subject to extensive consultation before any changes come into effect, likely to be 2017 at the earliest. However, Mr Vaughan said that as employers make a final move away from defined benefit schemes in favour of defined contribution, more pension design options will be needed in order to drive up the value of contributions. He warned that the combination of the single-tier state pension and defined contribution workplace pensions would not generate anything near the retirement income that most people will need. Consumer body Which? said that, though lower earners and the self-employed would benefit from the changes, older women who are close to retirement age would lose out because of the increase in qualifying NI contributions or credits. Older women are more likely to have switched to part-time working or retired early, and may therefore struggle to make up for any shortfall in NI contributions. The annual pension contribution allowance – currently set at £50,000 – is being reduced to £40,000 for the 2014/15 tax year. Pension fund contributions made above this limit are subject to tax charges at your marginal tax rate. The lifetime allowance, which is the maximum amount an individual can build up in their pension pot without triggering a tax charge, is currently £1.5 million but is reducing to £1.25 million for the 2014/15 tax year. Contributions you make to your pension fund over and above this limit could be subject to a 55 per cent tax charge when you reach retirement. In January, the Pension Protection Fund (PPF) said that, of the 6,316 in its index, the number of private sector final-salary pension schemes in deficit fell to 5,173. This is down by 90 since December 2011. The aggregate deficit of all the schemes in deficit fell by £19.4 billion over the same period, to £269.1 billion at the end of December 2012. Research by financial services group Prudential found that those retiring in 2013 expect to do so with an average income of £15,300 per year – £200 less than those retiring in 2012. Expected average retirement incomes are now 18 per cent lower than they were in 2008, although in some areas of the UK – London, the South West, Scotland, the North West and Yorkshire and Humberside – those retiring this year expected a higher average income than their 2012 counterparts had.